“We have a stated goal, a vision and a mission to be the leader in destination delivery,” said John Delaney, president of Windstar Cruises. A renewed focus on tour operations has Windstar planning new curated shore excursions and opening booking far in advance as the company now aims to have sales for cruises and shore excursions open 24 months out. “A lot of the industry has one team planning it for everyone,” Delaney told Cruise Industry News aboard the Star Pride. Windstar is adding new concierge level tours in every port, designed specifically for small groups ranging from four to 10 people. “We are doing some really cool stuff,” Delaney said, noting an example of a cooking class in Provence. With six ships and just over 1,200 berths, Windstar isn’t a traditional luxury player, but operates competitively in the small-ship luxury space. “This ship is all suites, marble bathrooms and walk-in closets,” Delaney said, of the 204-guest Star Pride. “We are a luxury brand but the difference is that we are casual. There are no formal nights. It’s a unique mix of high-end food, service and experience in a casual environment." 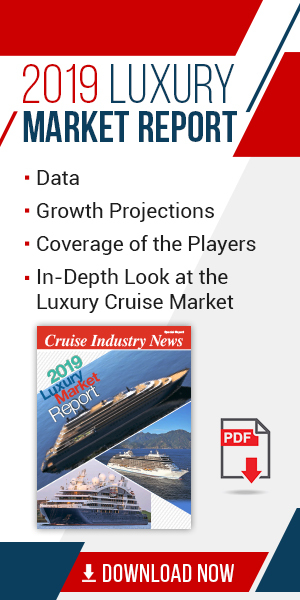 In the small ship segment, Delaney said other luxury and niche lines were growing ship size, while Windstar's fleet averages 200 guests per ship. “People are traveling more, they are cruising more. 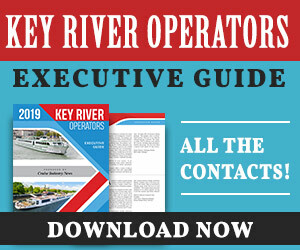 The river cruise industry has really helped the small ship ocean market. It has introduced people to the small ship experience. They liked it and want to come and try us,” Delaney said.